Paintless Dent Removal (PDR) is a process for removing minor dents, dings, and hail damage from automobiles. PDR saves time and money over body shop repairs. Contact us for immediate service! 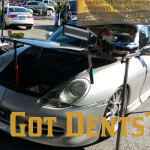 Precision Dent offers affordable body shop work for your automobile. 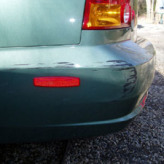 Our Bumper Repair prices are often up to 50% off normal body shop pricing! 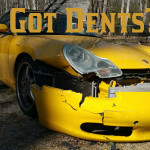 Precision Dent offers the highest quality auto collision repair at competitive prices. Your minor collision repair will be completed in a reasonable amount of time. Precision Dent offers an affordable alternative to body shop painting with our Paint Touch-Up Services. 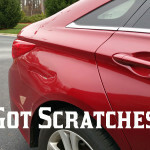 Our paint touch-up is available for minor scratches and paint damage caused by dents or dings to your auto. Our prices are often 35% Less than Body Shop Prices! 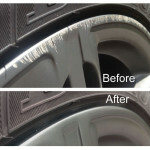 Precision Dent offers a new process for wheel restoration. Have your damaged wheels restored to like-new condition with our Wheel Repair Service! 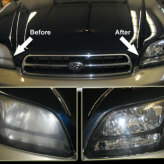 Headlight Restoration ensures your headlights are shining at their brightest and your vehicle is providing you with the best possible on-road lighting. Besides the benefits of increased safety, restoring your vehicle’s headlights can transform their appearance from cloudy to clear within minutes!